Welcome to Chocolate Friday!! Woo Hoo - made it through another week (or almost!)! I declare that you shall reward yourselves with chocolate! Instead of a recipe today, I actually have a chocolate review! Have you heard of blogging for chocolate? Well, I did get one shipment of chocolate to review but the UPS man caused it to have a meltdown. Please observe a moment of silence for my melted truffles...............thank you. Don't worry - I'll get more chocolate! But wait - I DID get more chocolate - from a fellow blogger and friend that lives nearby! She offered to SHARE - yes, SHARE her chocolate shipment with me so we could do a joint review! Big thanks to Jill from Frugal Plus!! She rocks! By the way, you should check out Frugal Plus for tons of coupons, deals, samples, reviews and giveaways! Anyway, Jill came over the other day with chocolate in hand (See? You love her already!) and we had some tea and tasted the chocolates. 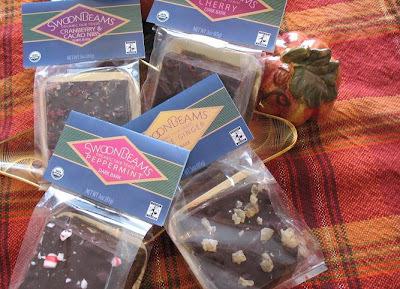 The chocolate came from Chocolate.com and included 4 different flavors of Swoonbeams organic dark chocolate bark. The first flavor we tried was the Cherry Dark Bark - the cherry flavor was strong, but it overpowered the chocolate a bit. Next we tried the Orange-Ginger Dark Bark - this chocolate was a little smoother texture, but the ginger flavor was strong. If you like candied ginger - you might like it! Then we tried the Cranberry & Cacao Nibs Dark Bark - this had a good cranberry flavor, not overpowering and the cacao nibs added a nice little crunch to the texture. Lastly, we tried the Peppermint Dark Bark - this was my favorite! The peppermint was nice and crunchy and mixed well with the chocolate. Yum! Definitely the best of the 4! The chocolate bark did not have quite as dark of a flavor as I expected for dark chocolate, but it was organic fair trade chocolate which is a nice plus! Overall, the bark is good. I would recommend the Peppermint flavor or the Cranberry flavor as my favorites! 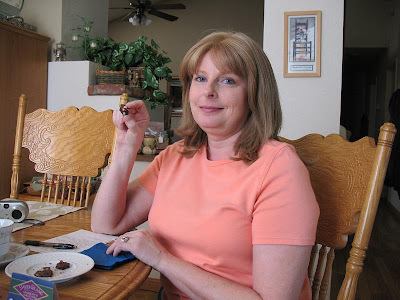 Here's Jill enjoying her chocolate! And here's me - with my mouth full of chocolate, of course! 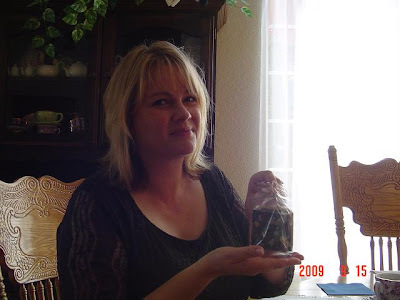 Thank you www.chocolate.com for sending delicious chocolate to blog about and thank you Jill for sharing!! This concludes my chocolate review today. 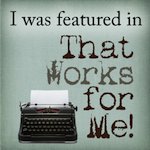 You can check out Jill's review on her blog. Two reviews for the price of one - LOL! Now, wouldn't you like to follow Jill's example of chocolatey generosity? You can! 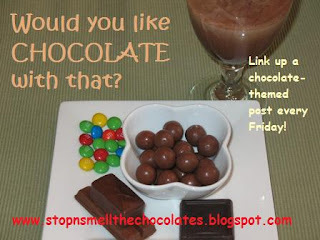 Just link up your chocolate post today with MckLinky below. It can be a new post or an old archived post - it doesn't matter as long as it's chocolate; we're all friends here! 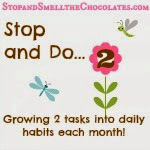 Share the chocolate by sharing your chocolate posts!! Have a fantastic chocolate-filled Friday!! Hmmm, I'm kinda glad I got to pick what I wanted to try! LOL At least you found something you did like out of the 4. Are you going to link up your video for my funnies? I think you should!!! Hee! Hee! I think I'd like the peppermint the best, too! I am drooling....they all look so good. How did you get to review chocolate.... I would be ALL OVER THAT! I love chocolate peppermint bark. Super delicious! I haven't had much chance to visit lately. I hope everyon in your family is doing well. Take care my friend! Oooo, that peppermint dark bark sounds awesome! 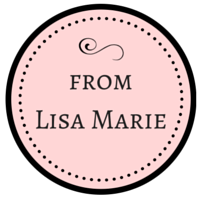 Hi Lisa...Gave you a little award over at my blog...go to www.mcglothlinfam.blogspot.com to pick it up if you'd like. Lisa, I should know better than to come and pay you a visit at bedtime. Now, all I want is some chocolate!!! Hmmm...there is a Haagen Daz bar (coffee ice cream covered with drk chocolate and toffee bits) that is yelling my name...the same way I will be yelling yours when I put on my jeans this fall!